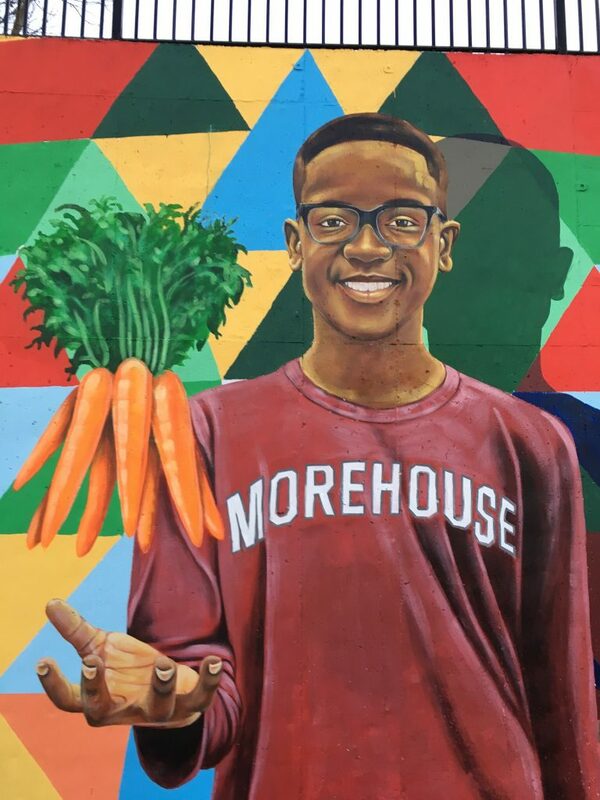 My mural is about the appreciation of HBCU’s, and urban agriculture. 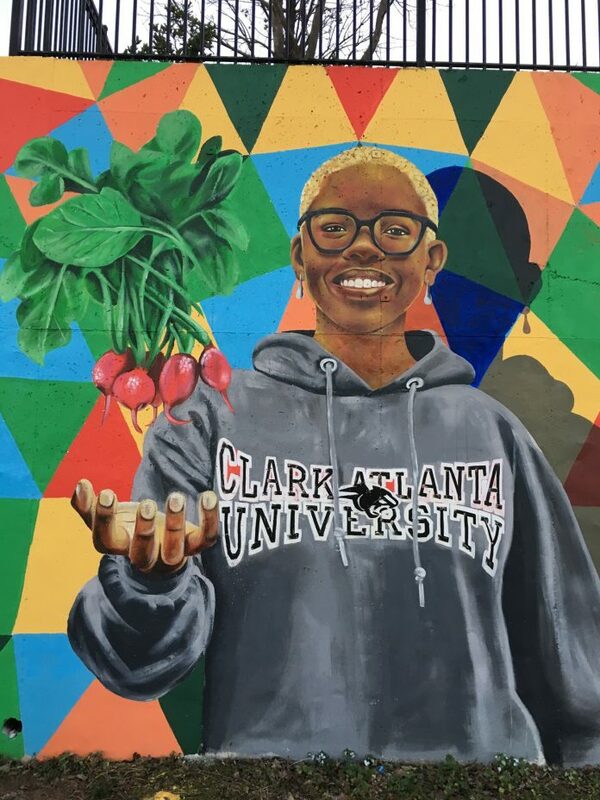 Where these two entities meet, is that they’re both great for the community, they’re both undervalued, and college students of the AUC does a lot of volunteer work at the “collegetown” urban farm on Lawton St. in Atlanta. Urban Agriculture teaches horticulture to inner-city folk, and fosters neighborhood engagement. They also donate food to the community so, the college volunteers are essential to its success. I spent 10 years teaching art in Atlanta, and every year we received students from Morehouse, Spelman, and Clark who would come regularly and tutor our middle school students! When ‘out-of-towners’ or natives, attend HBCU’s, they tend to become an integral part of the community surrounding the school. I know this is true of Morehouse, Spelman, Clark, and Morris Brown! I know this is true of Tuskegee and Howard University! They engage with the community…and essentially make it home.